Morning Glory is joined by Wayne Laugesen from the National Catholic Register, Kevin Cirilli from The Hill to talk about the Papal Congressional Address, Jack Williams with the big football highlights of the weekend, Tony Burke of Catholic Charities who welcomed the Pope yesterday, Catherine Szeltner LIVE from the streets of NYC where Pope Francis is currently address the United Nations, and Father Andrew Small joins to give us the best jokes that all can submit to Pope Francis - maybe he'll use yours! All this and more on a fun Friday edition of Morning Glory! 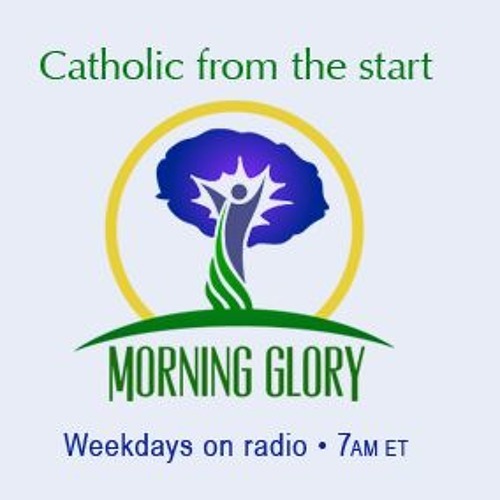 Catch us every weekday morning from 7-8am ET on your favorite EWTN global Catholic radio affiliate! Download Morning Glory with Brian Patrick & Gloria Purvis on this Friday! Users who like Morning Glory with Brian Patrick & Gloria Purvis on this Friday! Users who reposted Morning Glory with Brian Patrick & Gloria Purvis on this Friday! Playlists containing Morning Glory with Brian Patrick & Gloria Purvis on this Friday! More tracks like Morning Glory with Brian Patrick & Gloria Purvis on this Friday!